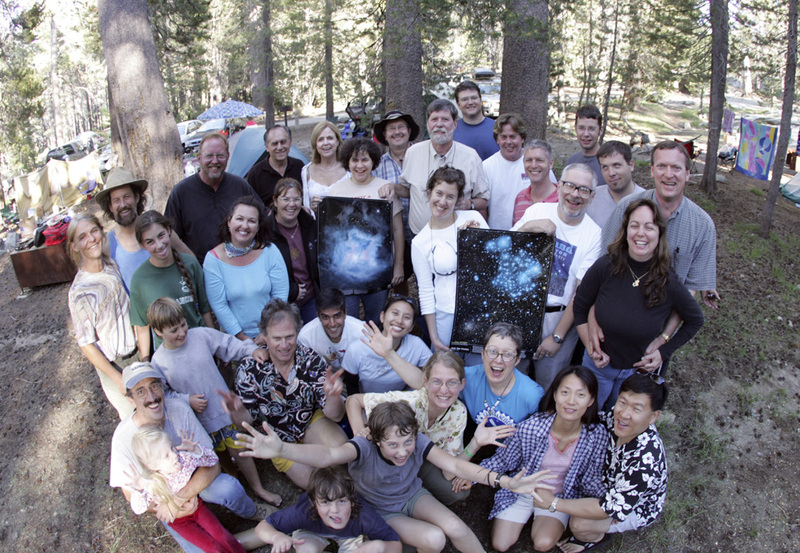 Here's a group picture of the SFAA Yosemite star party. Photo by Bryan Chan of the Los Angeles Times. For the full-resolution (2.2MB) photo click here. Jane and I make an effort to observe at least once every year at Glacier Point in Yosemite National Park. The combination of sublime scenery, spectacular skies, and comfortable summer weather can't be matched anywhere. On July 8-9, 2005, we joined our old friends from the San Francisco Amateur Astronomers for their weekend to host the star party. These are just a few fun snapshots of the event, taken by Mojo and Jane. I don't know everyone's names, so please help me out with captions! Writer Hugo Martin of the Los Angeles Times Outdoors section also attended on Friday evening, with photographer Bryan Chan. If an article appears, I'll have a link to it here. Kenneth Frank also has an album of photos from the event.